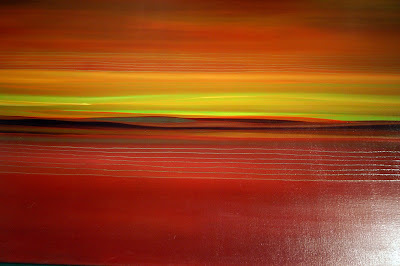 Amazing Abstracted Colors Colliding on Canvas for Effect. Special Meta Series Using Altered Versions of Paintings. 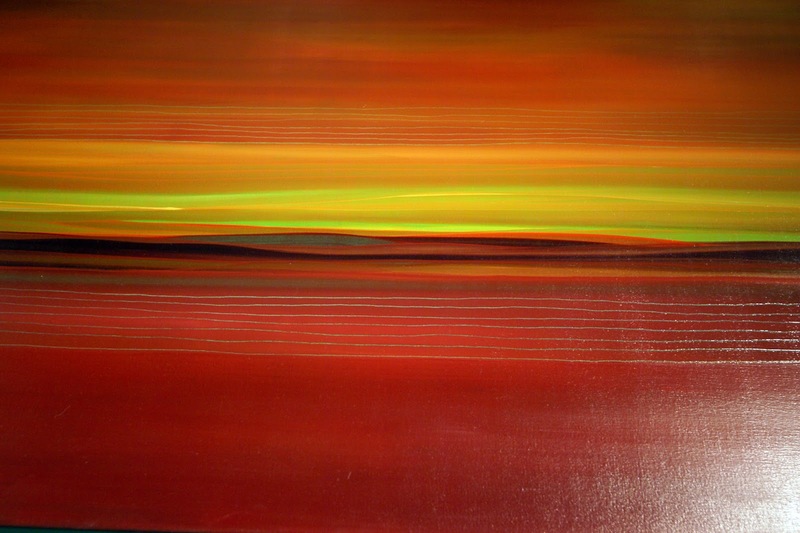 Abstract art may not be for everyone, but with such a rich and diverse palette of colors, the work of Rebecca Bennett is bound to catch your eye! That's definitely what drew me in and a key element in the message this artist wants to communicate. She is a big believe in the power of color to evoke emotions and convey a particular feeling. For Rebecca, the color is calming. I am also at home in such a bright array of tones. How about you? Rebecca is a really interesting example of how we and our art develop as a layer of experiences. This artist traveled a lot throughout her youth, getting to see and live in many different states. All the while, she's been lucky to have the encouragement and support to follow her dreams. She credits the many strong female role models that helped her find her voice in art. Like many of the greats, she's taken a variety of classes, building a solid foundation in art history, figure drawing, fiber arts and painting. Her pieces now mostly involve layers of oils, almost like layers of what she's learned over the years. She has also created a really fascinating collection that she calls Meta because she uses her own paintings to create new forms, some of which are 3D. 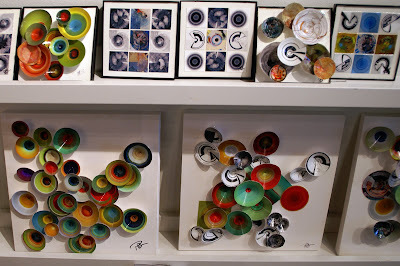 Her great understanding of color theory stands out in the way she pairs hues and organizes her collages. I can't help but stare, looking deep into the layers. It sounds simple on the surface, but the depth in Rebecca's work is what makes it so wonderful! What a talent and bright inspiration!